Determine daily responsibilities for each kid. This part was the most time consuming for me, but honestly, the most important part of the whole summer. My kids each have a daily jobs to do, a kitchen job that rotates through the week, are helping out to make dinner one night a week, and other projects around the house, so I make sure to included those. These are non-negotiable and need to be done every day. 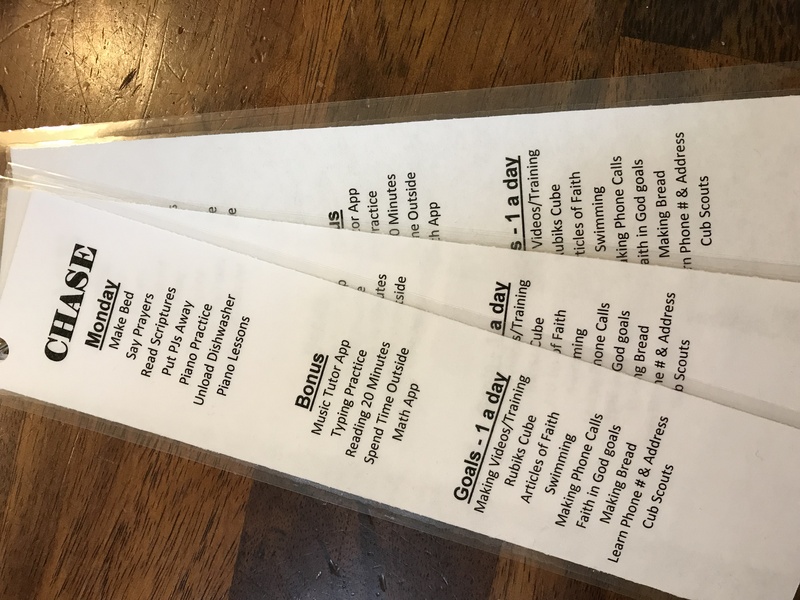 Then, I sat with each one of my kids and we figured out some goals for the summer — things they wanted to work on and some things that I told them they need to work on during the summer. Because, let’s be honest, kids don’t always know the things they need to be doing or put those things as priority. This was the best part as it meant I got to spend some one-on-one time with each kid finding out what they’re most interested in and how they want to spend their time this summer. 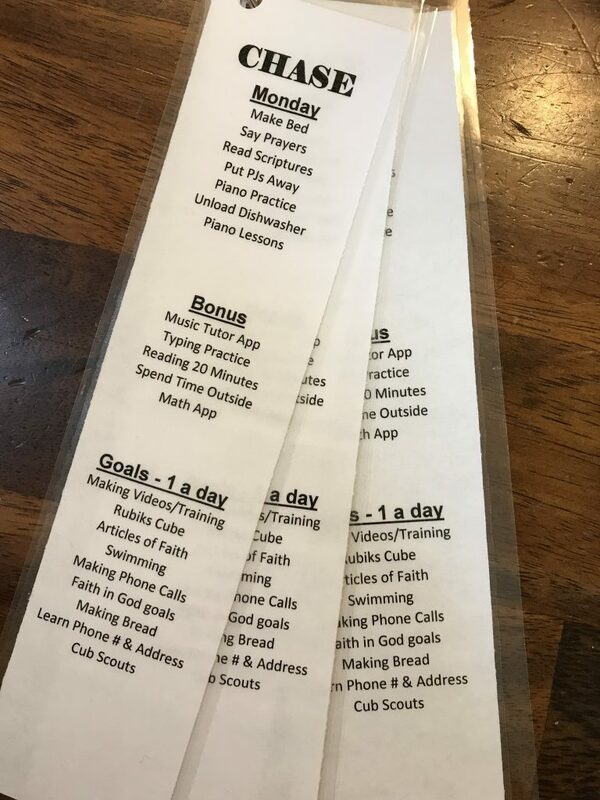 I made my lists for each kid by day, cut them apart and laminated them, then attached them with a ring at the top so they should last for the whole summer (fingers crossed!). I also saved the lists on my computer so I can reprint if necessary — because, you know, kids! 2. REWARDS SYSTEM: My rewards system involves a punch card and treasure box. 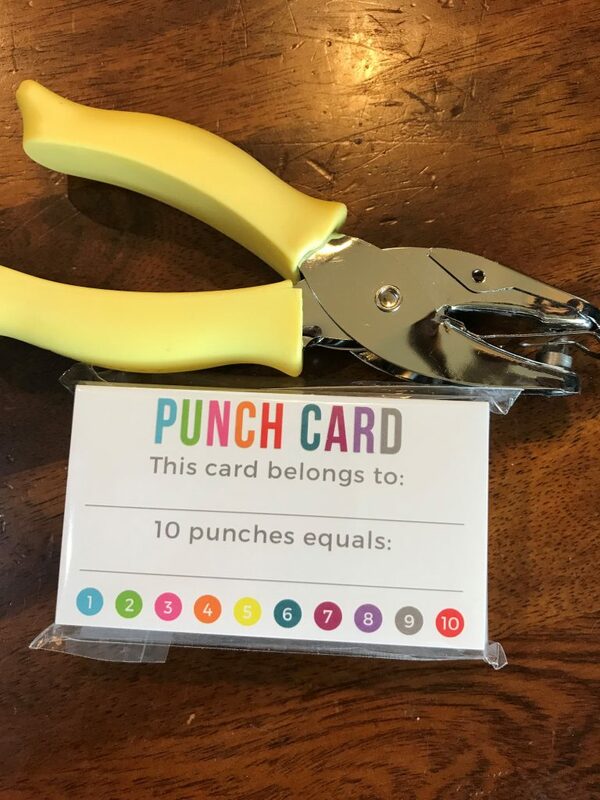 Each kid gets one of these fun ” data-wplink-url-error=”true”> star punch to make it extra fun), they will get to choose something from the treasure box. 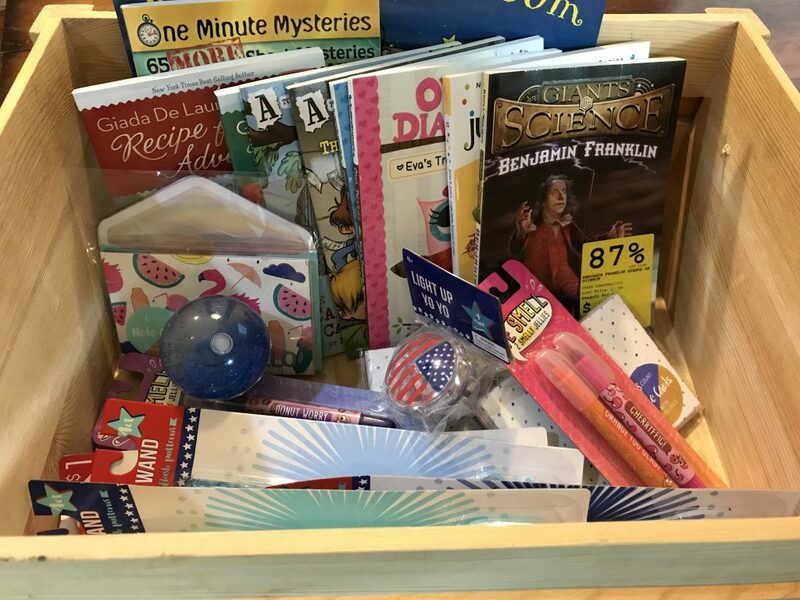 For the treasure box, I put in a bunch of new books I’ve accumulated and like to use as rewards and then went to Target’s Dollar Spot and the Dollar Store to find some fun goodies for the kids. 3. SCREEN TIME: This is the trickiest part for me . . . determining screen time rules. This will, of course, be very different from one household to another. 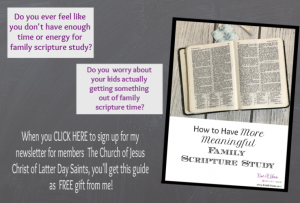 I wanted to include a link to a cute printable, but the only ones I could find were based around doing “stuff”/taking care of responsibilities or doing some creative things before screen time. 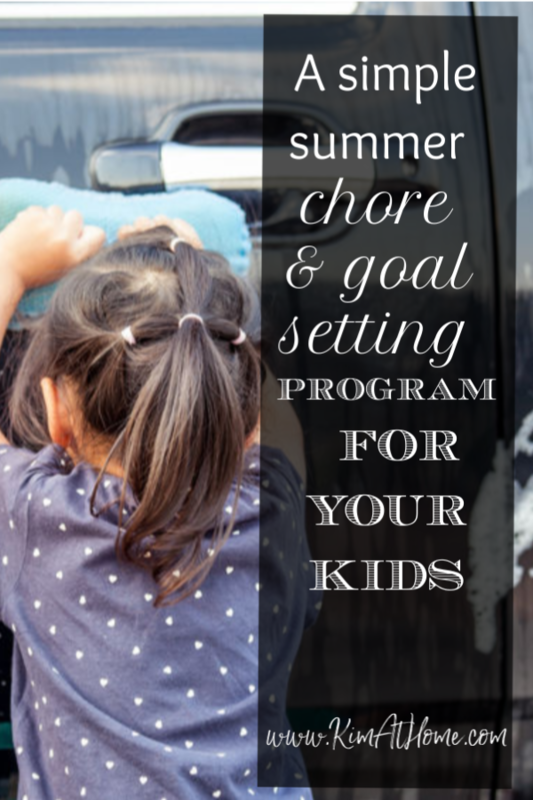 I’m a little more stingy with screen time and didn’t want it to become a “get your stuff done then you can have screen time every day” kind of a summer. So, you can find some cute printables on Pinterest if you want to go that route. Otherwise, the parents should sit down and determine how much focus they want on screen time during the summer, then have a sit down with the kids and let them know the rules for the summer. This will avoid the constant asking “can I watch a show?” or “can I play video games?” all summer long. Kids need to know what is allowed and expected and it will help both them and the parents have a much better summer when the rules are laid out in the beginning. Well, here’s to a fun, spontaneous, organized, productive summer! I hope you have as much fun as we’re going to have! These are great ideas! How do you handle screen time? I’m still trying to figure out a good system that prevents the kids from wasting their whole summer in front of the screen. Yeah, screen time is the tough one, isn’t it? Last year, and again this year, we’re letting each kid have one day of the week that they get to pick a show to watch (we only have Netflix). While the show is on, if there’s someone that doesn’t want to watch, they can choose to play on a tablet during that time. Other than that, electronics are off unless we’re doing something constructive. For example, our older kids have a couple of apps to practice math, piano notes, etc. that I want them to work on every day. I’ll also allow it for working on family history, having a dance party using the Wii, etc. Or if I find a movie or something special to watch with the kids. My limit of one show a day might be more strict than most families care to do, but the important thing is setting some kind of limit. When you do, the kids don’t need to ask all day because they already know the answer.